A mosquito recognizes and finds a human being from a relatively long distance by the human’s breath and skin scents. The main component of breath is carbon dioxide, which attracts most mosquitoes very efficiently. There are also certain components of the human skin scents that are important indicators for mosquitoes in their search for blood. Therefore, Biogents developed artificial scents that mimic the human skin scents, and make the Biogents traps even more specific and capturing. The development of an artificial human scent was an important milestone in over 16 years of mosquito research. The effect of our artificial scents was measured and is scientifically proven. The BG-Sweetscent is an artificial human skin odor that is formulated to last for two months. To catch tiger mosquitoes (Aedes albopictus and Aedes aegypti), the BG-Sweetscent alone synergistically enhances the attractiveness of the mosquito trap. (BG-Mosquitaire CO2). 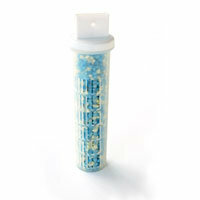 The BG-Sweetscent is suitable for use in all Biogents outdoor suction mosquito traps. 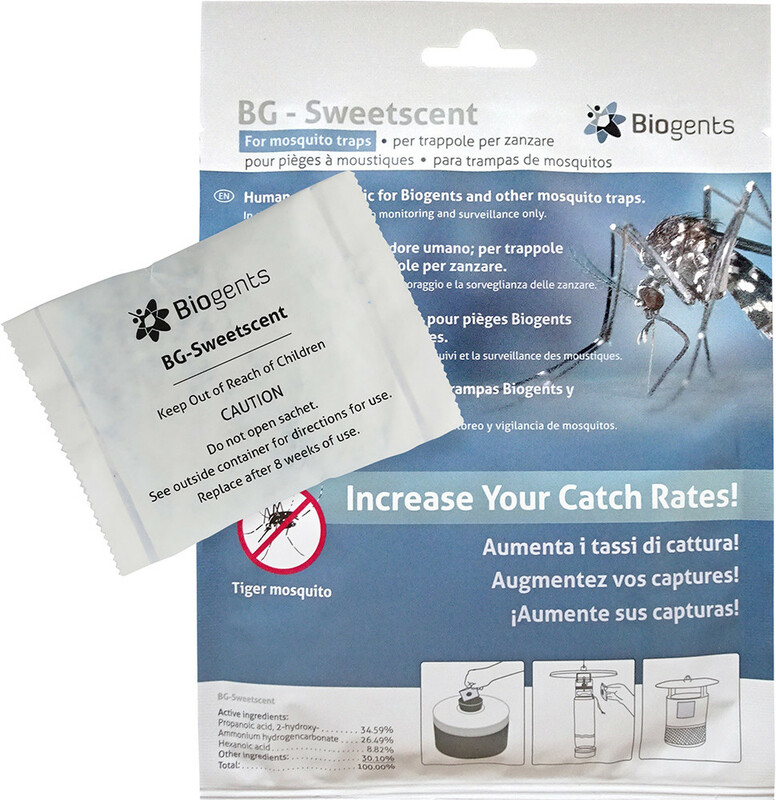 The BG-Swettscent also helps to improve the catch rates of many other mosquito trap types. The BG-Sweetscent is effective for up to two months. The robust “BG-Lure cartridge” releases the same artificial human skin odor as the BG-Sweetscent but is developed to last up to five month. It is used – mostly with the BG-Sentinel trap – by scientists and health-care specialists to monitor mosquito populations. The BG-Lure is effective for up to five months.